The late American architect, who was born 8 June 1867, completed the New York art museum in 1959. With its unusual spiralling galleries, it went on to become one of his best-loved buildings. 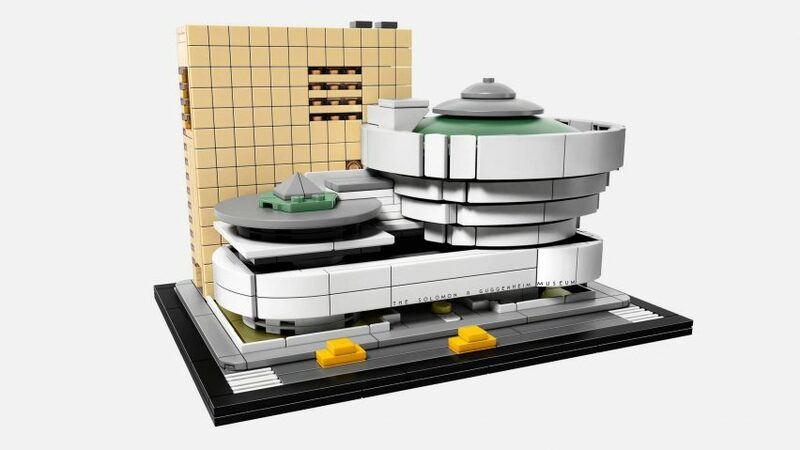 "This accurately detailed Lego model faithfully recreates the curves and distinctive lines that have made this building an architectural icon for the last half-century," said Lego. Frank Lloyd Wright is considered to be one of the 20th century's most important architects, and his work is credited as a precursor to modernist movement. His other prolific works include the seminal properties Fallingwater and Robie House. The Danish toy brand previously launched a smaller model of the Guggenheim, back in 2009, as well as a kit for Fallingwater. But the new release is more true to the geometries of Wright's design. It measures 12 centimetres (four inches) high, 19 centimetres wide (seven inches) and 14 centimetres (five inches) deep. The model is available to buy directly from Lego, or from American retailer Target. It comes with a booklet containing details about the design and history of the building. The launch is one of a series of events taking place to celebrate the 150th anniversary of Wright's birthday, ranging from installations and exhibitions to building tours. Dezeen is also celebrating the architect's work by profiling five of his most pioneering projects this week. Lego has previously recreated many architectural masterpieces as part of its Lego Architecture series. Others include the Burj Khalifa and the Empire State Building. The company also targeted architects with its Lego Architecture Studio, a set of monochrome blocks that could be used to create sketch building models, while its newly launched Boost kit is designed to help children learn computer coding.